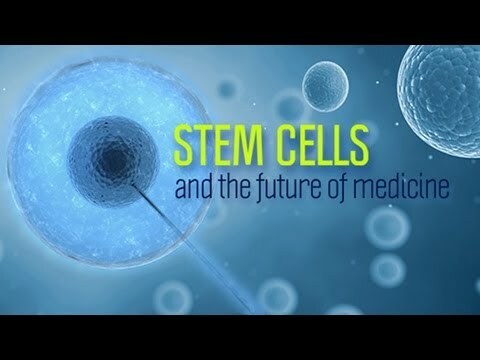 In today’s time, stem cells are one of the most fascinating field in science, with breakthroughs being announced almost every day either in scientific journal or in media. With rising R&D, stem cells are offering much hope to patients suffering with debilitating diseases for which there is no cure. Before we dig into where this stem cell research is trending or how these stem cells are going to change the treatment modality, we understand what actually stem cells are. Stem cells are the master cells or building blocks of body and have two unique properties self renewal and multi lineage differentiation potential i.e. they are capable of replicating themselves an unlimited number of times and differentiating themselves into different kind of cells such as neurons, heart, lung, skin etc. These cells can be considered as body’s internal repair system that lies latent in our body and these are summoned at the site of damage or inflammation when they receive signals from injured area. These cells replicate in a continuous fashion to replenish other cells or morph into cells with specialised functions. Researchers are harnessing these power properties of stem cells and a number of potential applications with stem cells arising are truly stunning. Secrete neurotrophic factors, which provides neuro-protection and neuro-regenerative effects that further support in the repairing of damaged nerves. Stem cells in cosmetics – The advancements made in anti-ageing and cosmetic research have unlocked the potential of stem cells in achieving rejuvenated skin. The use of stem cells in skin can produce several important molecules that can signal synthesis of collagen thereby causing facial rejuvenation and an effective anti ageing treatment. Stem cells in Tissue engineering: With the increasing number of patients suffering from damaged or diseased organs and the shortage of organ donors, the need to construct human tissues outside the body has arisen. The tissue engineering – an emerging biomedical approach applies the principles of cell transplant, material science, and bio-engineering to construct biological substitutes that will restore and repair damaged tissues. A challenge for tissue engineering is to identify appropriate cell sources. The advancements made in stem cell biology provide enormous opportunities to engineer stem cells for tissue engineering especially for bone and skin tissues. Scientists in the UK have reported the results of pioneering operations in 2 patients with age-related macular degeneration, a major cause of sight loss in older people. Researchers used a stem cell patch to repair the damaged membrane at the back of the eye called the retinal pigment epithelium. After a year, both patients were able to read again with glasses from the affected eye. The exciting findings show a potential new treatment for a condition that causes sight loss, and even blindness, in many older people. A South African girl named Thermishaa Soma showed signs of poor development and activity at 11 months and diagnosed with cerebral palsy. She showed no improvement after standard therapy, leading to a quest for experimental therapies, including stem cell therapy. After stem cell treatment at Advancells, she showed improved motor function, including being able to open her hands widely and attempt to sit on her own. Her muscles were more relaxed, and her visual ability is believed to have slightly improved as well. A 20-year old Kris Bosen of Bakersfield suffered a terrible car accident leaving him permanently paralyzed from the neck down. Bosen then participated in “Experimental Stem Cell Therapy”. The experimental trial has led to Bosen regaining feeling in his arms and hands after just two weeks and after three months, he was able to feed himself, use his cell phone and even hug his family again. In conclusion, with the rising R&D initiatives, medical researchers anticipate that stem cells in near future will shift the treatment modality of disease and change life in a better way. However the stem cell research is at nascent stage, long term clinical trials are needed to be sure it’s safe and effective.